Peggy is passionate about working with women who are planning or struggling to become mothers, mothers and fetuses throughout pregnancy, newborns and children of all ages. During her countless years of experience working with children and their parents, she has discovered that although the parent may be bringing their child to see her, the child becomes the avenue for getting the parent the help they need. It is because of this understanding that she has a great desire to work with women who are having difficulty becoming pregnant either naturally or with fertility treatments. CranioSacral Therapy (CST) is a gentle light touch approach that provides an opportunity for the body to relax and heal itself. It is effective for all ages, even for treating the unborn child through the mother. The human body is always naturally trying to maintain balance and homeostasis. Throughout life, each one of us sustains countless traumas which may be either physical or emotional in nature. Regardless of whether these traumas are big or small in magnitude, the body has to figure out how to deal with them. Most of the time, the body is able to handle the insults and restore balance. If the trauma is too big, or if there are multiple traumas that accumulate, the body is overloaded and unable to restore balance on its own. As the body tries to sort out and handle all that it has sustained, it often chooses a coping mechanism that is not beneficial for the overall wellness of both the body and mind. This results in physical and/or emotional disease and dysfunction, which can play a role in a woman’s ability to conceive a child or sustain a pregnancy. Peggy’s philosophy in life is to realize the gift you have been given and to share it with others. Her hope is to leave everyone she touches with “The Touch of Sunshine”. Yes — please contact Peggy for more information. Call Peggy directly on her cell phone 603.380.1559. 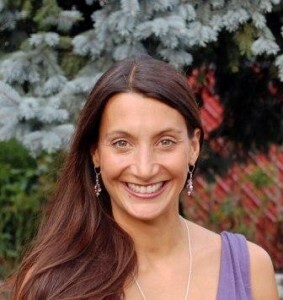 This gives her a chance to spend some time answering any questions about CranioSacral Therapy. CranioSacral Sessions are approximately 1.5 hours. Please allow yourself enough time before the appointment to fill out evaluation paperwork. The first part of the appointment is a completion of the Physical Therapy evaluation, focusing on your diagnosis and setting your goals. Second part is an explanation of what is CranioSacral Therapy. Peggy will show you a Spine and Skull Model to help explain details and answer any questions you might have. The last part of the session will be the CranioSacral Treatment. Please wear comfortable clothing. Only shoes will need to be removed during the sessions.